This weekend will be your last chance to try our latest beer, ‘Lucky’. 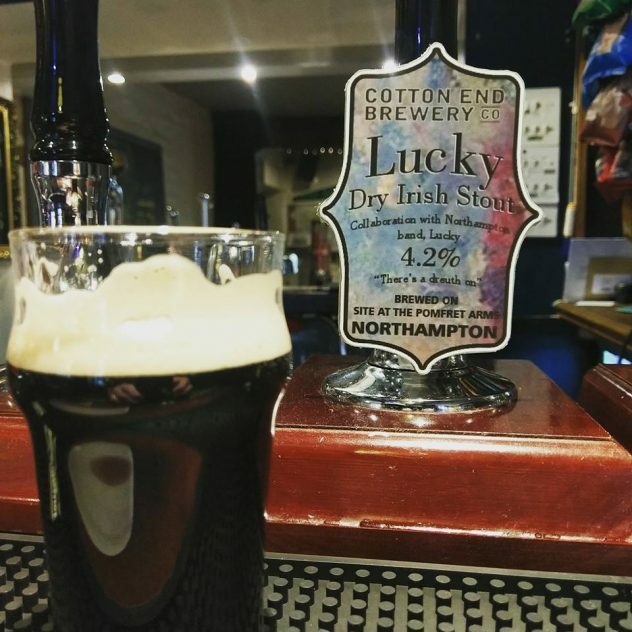 A beautiful, 4.2% dry Irish stout click this link here now. A thick and creamy stout with hints of toffee. This beauty was made in collaboration with local band, Lucky which our very own brewer plays in. The last barrel in stock (for now) will be served at The Pomfret Arms this Sunday. Not only that but Lucky are playing a live show on Sunday 18th Dec at Phipps Albion brewery. Just up the road! So why not come to The Pomfret Arms for a pint or two of Lucky before heading to the show. All details on the show can be found here as well as a link to the band’s music. So let’s have a beer then yeah? Next You want it? You’ll get it!